In Winter Study classrooms spread across the nation, from Griffin 6 to the Golden Gate bridge, one buzzword has captured everyone’s attention: startups. The word appears more than 15 times in this year’s Winter Study catalog, which features a wide range of courses aimed to expose students to the thinking behind, and architecture of, the startup world. “This is a time when students can really go deep in terms of their career planning, thinking about how their interests might relate to something out there in the real world in terms of impact,” said Don Kjelleren, director of the ’68 Center for Career Exploration. Some courses took a broader approach when it came to placing students in a professional setting. “I think of all of the courses offering internship opportunities, mine has the broadest umbrella as far as industry access,” said Dawn Dellea, manager of alumni and parent engagement programs at the Center and coordinator of “Experience the Workplace; an Internship with Williams Alumni/Parents.” Her course arranges internship placements through the Center, pairing students with select alums and parents to give insight into the work environment and company culture in exclusive professions. 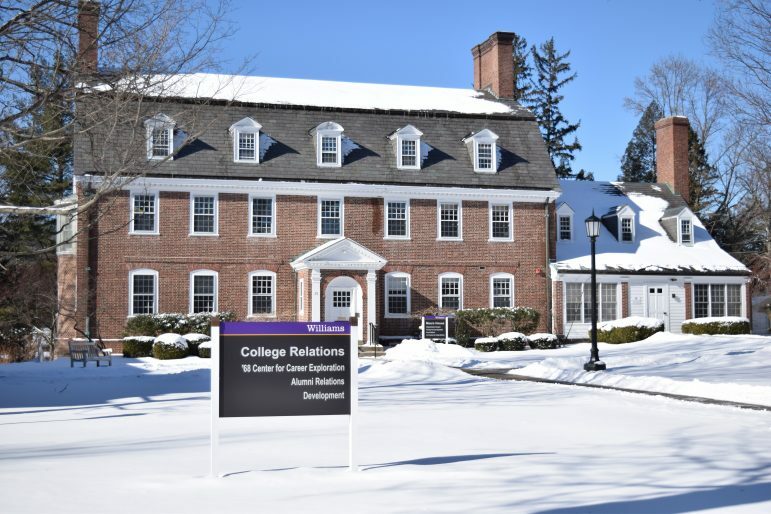 Dellea’s course is one of four offered by the Center that capitalize on the powerful relationship between the College and its alumni network. Kjelleren highlighted the thinking behind drawing such a close alliance between students and alums. Several courses that were unaffiliated with the Center produced original projects targeting students at the College. Allan Wellenstein’s “Solution Design: from Ideas to Implementation” explored the strategies companies use to avoid the problems that prevent startup projects from succeeding. Two student teams pitched the framework for original technical tools. One project attempted to provide intelligent course recommendations by combining data about courses with data about the student; the other suggested campus events tailored to students’ interests and preferences. “I appreciated learning about a work culture which prioritizes clarity and understanding,” Will Keating ’19, a student in the class, said. Meanwhile, a variety of original, student-led projects emerged from “Essential Tools for Startups to Change Good Ideas to Successful Businesses and Organizations,” taught by entrepreneurship consultant Steven Fogel. One such venture, led by Vince McNelis ’21, Carson Kurtz ’22, Jihong Lee ’22 and Mark Bissell ’22, involved an convenience store that would supply basic products from a central location on campus. The Gaius Charles Bolin Fellowship was established in 1985 to recognize Gaius Charles Bolin, an 1889 graduate and the first Black student admitted to the College. Now, some 34 years later, the Bolin fellowship continues to honor Bolin’s legacy by promoting diversity among faculty, accepting two to three fellows each year from underrepresented backgrounds. This year, Prisca Gayles, the Gaius Charles Bolin Fellow in Africana studies, begins a two-year residency at the College designed for fellows to finish their dissertations and to hone their teaching and research skills.